Description: The whisky is an unfiltered single malt whisky from the Green Heart region in the Netherlands. This whisky is made from malted barley and has aged on French and Hungarian oak casks. The final maturation is done on casks made from morus wood. Colour: This single malt whisky is matured on cask, during which it develops a beautiful golden colour. 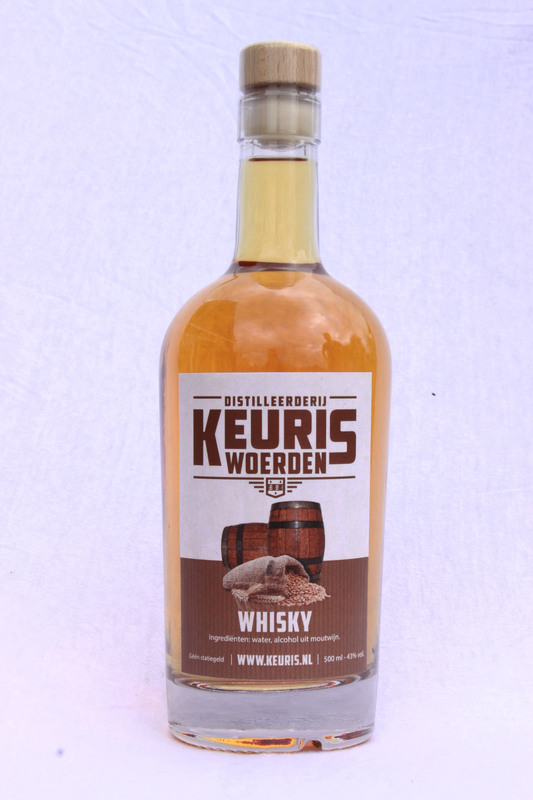 Smell: The whisky owes its smell to a well-balanced selection of Dutch malted barley. The light flavour of barley, as well as subtle hints of caramel and vanilla all contribute to a very pleasant aroma. Connoisseurs among us will also notice the hints of (Olorosso) sherry. Taste: The flavour is well balanced and very accessible. The taste is characterised by an intenseness and freshness coming from hints of oak and sherry which are well balanced and not overpowering. Aftertaste: The aftertaste is smooth and slightly sweet. Hints of oak remain on your palette for quite some time and make for a subtle and pleasant final flavour.